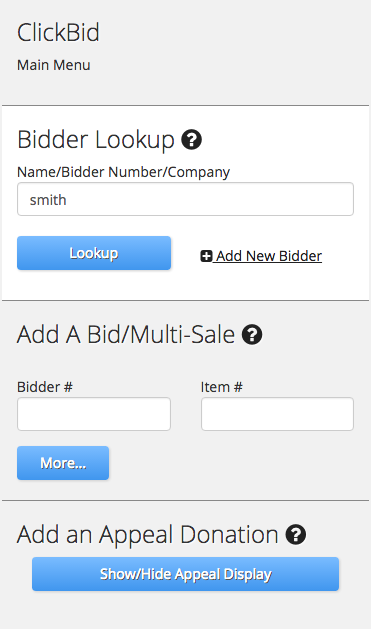 Using BidKit to connect your Kindful account to ClickBid mobile bidding. By the end of this primer you will have linked your Kindful account securely with your ClickBid account. Let’s get started! 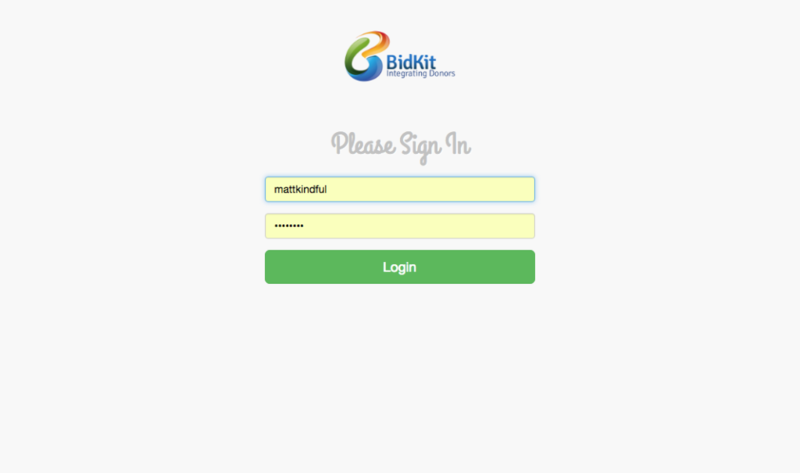 Log into your BidKit account by browsing to http://bidk.it and clicking on Login in the top right. After clicking on Login, you’ll be able to enter your ClickBid account credentials here to gain access to your BidKit account. Simply enter them and press Login. Once logged in you will see a navigation on the left side of your screen. 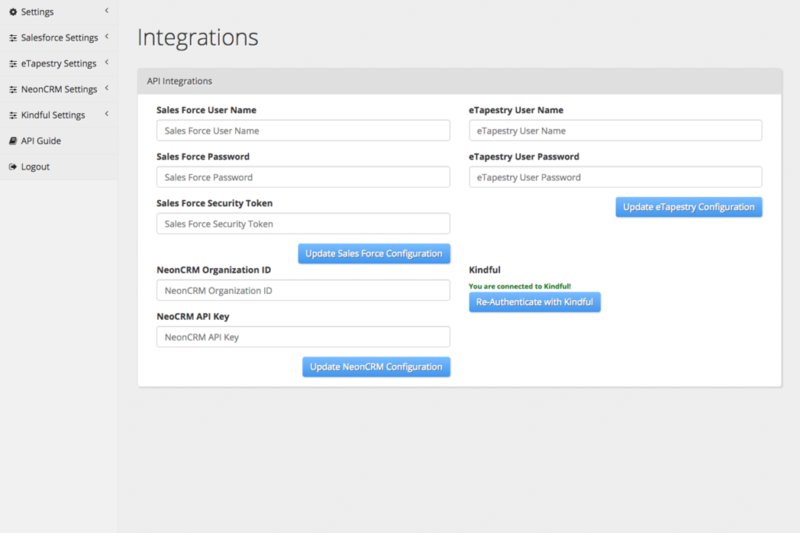 To connect your Kindful account to your ClickBid account, choose Settings > Integrations. Inside this page we allow you to link several different CRM tools. Kindful is located in the bottom right. 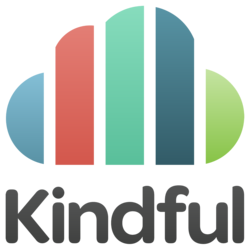 Choose Authenticate with Kindful to start linking. NOTE: In the screenshot you’ll notice that we are already authenticated. If you ever experience connection errors or issues, you can come back to this page to press Re-Authenticate with Kindful to get new authentication values. After clicking/tapping on the authentication button, you are then directed to your Kindful account. Simply log into your account and allow BidKit to connect with your Kindful account. You will be returned to BidKit when complete. 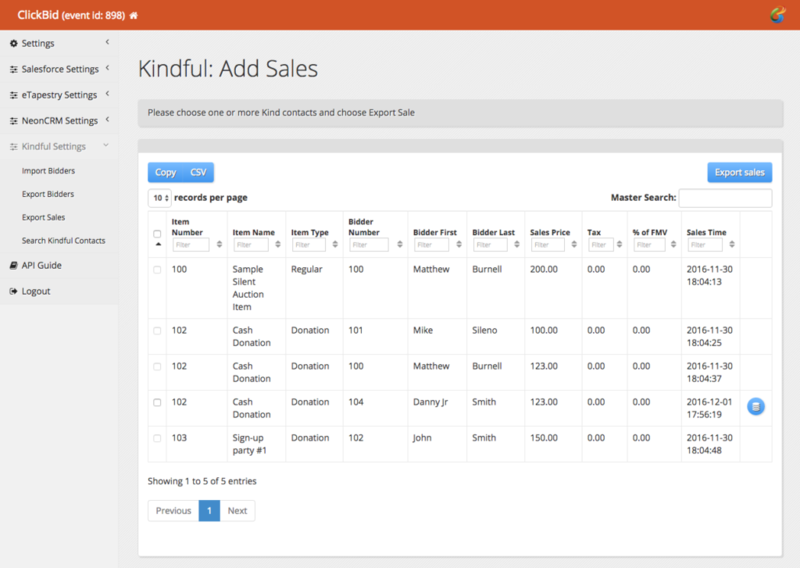 Now you are ready to import Kindful contacts into your ClickBid account. Choose Kindful Settings > Import Bidders to display all your Kindful contacts. The resulting list is searchable and those records that you can import will have clickable checkboxes and blue pancake circle icons at the end of their row. To import a contact, choose one or more contact and press Import Contact (top right blue button). You may also import one-at-a-time by choosing the pancake circle icon at the end of any contact. Once imported, the record is no longer selectable and the pancake icon is gone for that record. TIP: Before your event, we suggest you only import contacts with valid methods of communication (phone and/or email). Without this information you would not be able to communicate to the guest that they have a bidder record. To assist you during your event, ClickBid Butler, our simplified event interface, is equipped to search your Kindful account in real-time. Just enter some of the guest’s last name into the Bidder Lookup box and press Lookup. TIP: If you waited to connect contacts without phone/email then this process will catch them as they come through the door. At this point, you can ask for phone and/or email. The top portion of the results display bidders in your ClickBid account. The bottom portion represents contacts found in your Kindful account. In this case you could click/tap on Danny Jr Smith’s record to instantly import his record into ClickBid and let him start bidding right away. 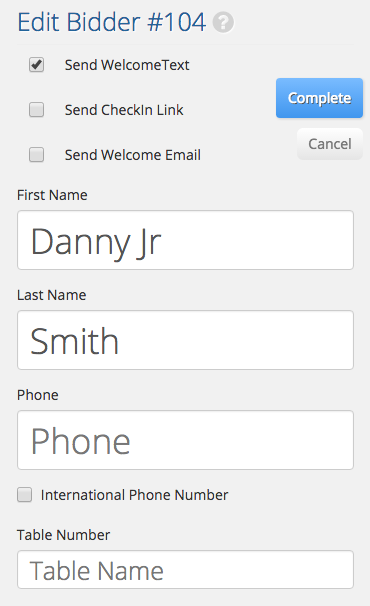 After pressing Danny’s name, you will have the option to add a phone/email address and complete his check-in. Once complete, he will get a welcome notification text and be able to start bidding. Bidding continues until the item closing times have been reached. 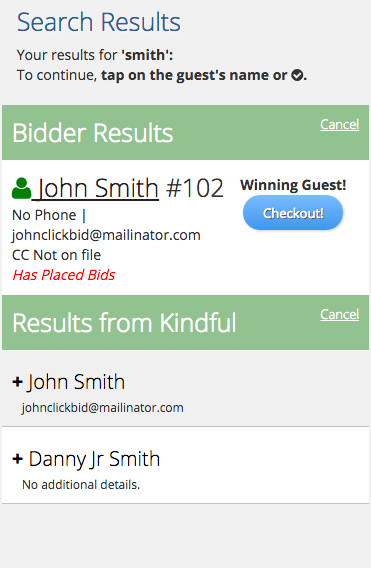 Once bidding is complete, you can log back into your BidKit account (using your ClickBid credentials) and choose Kindful Settings > Export Sales. From here you will get a list of all sales from ClickBid. We will link those to Kindful contacts that you brought over from Kindful either before or during the event. Similar to importing contacts, you can choose multiple sales by selecting the checkbox next to their record or one-at-a-time by choosing the pancake icon at the end of their row. Pressing Export Sales will send those sales to Kindful and link them to their contact record. 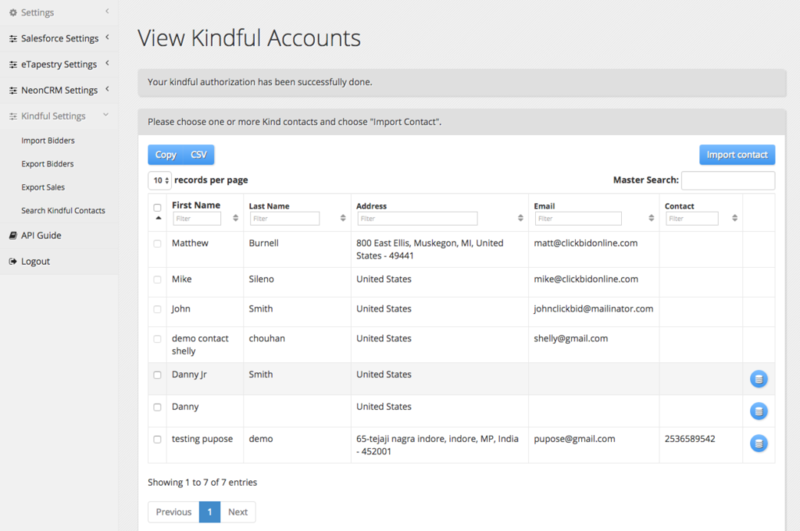 Records sent to Kindful are queued up and processed in the order received. This can take up to 5 minutes to complete. 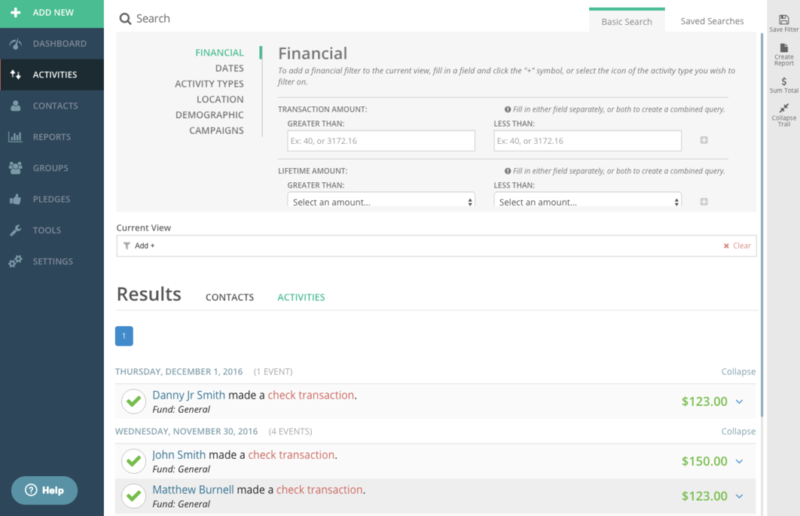 When complete, you will see sales listed in the Activities page of your Kindful account. That’s all there is to it. Our goal is to make integration simple and fast for you and your organization. If you have any questions about this process or need support, please contact ClickBid’s support team at support@clickbidonline.com. We will be happy to assist you. To learn more about BidKit, contact us at support@bidk.it.